Property values across Australia are down 2.7% since peaking in September last year to $550,610, the latest residential index shows. They also fell by 1.4% quarter on quarter and 0.5% month on month as capital cities and regional markets have recorded a slowdown in the annual pace of growth as the housing downturn becomes more broadly based. The data from the CoreLogic September index shows that prices have now been falling consistently for a year but says that it is hardly a crash, and a slower rate of decline relative to the previous housing market downturn from June 2010 to February 2012 when national dwelling values fell by 3% over the first 12 months, declining 6.5% from peak to trough. A breakdown of the figures show that Hobart remains the only capital city to see strong growth with prices up 0.4% month on month, up 0.3% quarter on quarter and up 9.3% year on year to a medial value of £443,711. Brisbane and Canberra have also seen growth. In Brisbane prices increased by 0.2% month on month, by 0.1% quarter on quarter and by 0.8% year on year to $495,474 while in Canberra prices increased by 0.3%, by 1% and by 2% to $598,326. Darwin and Adelaide have had mixed fortunes. In Adelaide prices increased by 0.7% year on year but were flat quarter on quarter and down 0.2% month on month to $438,570 and in Darwin they increased 0.1% on a quarterly basis but fell 0.4% month on month and are down 3.7% year on year to $436,936. 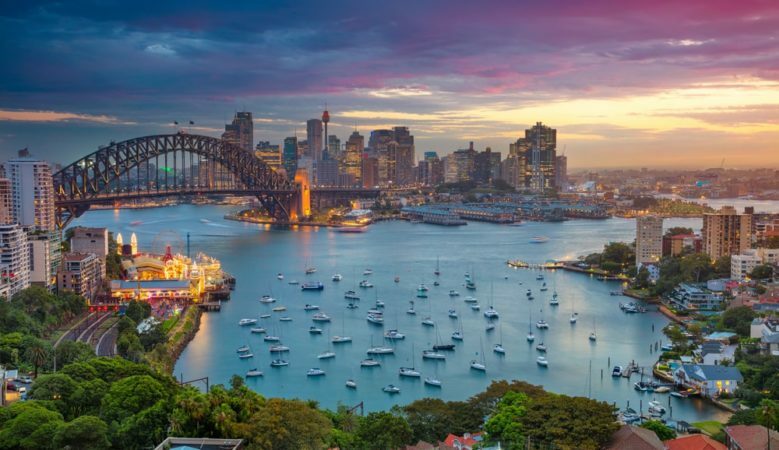 Prices in Sydney and Melbourne have fallen in the 12 months to September. In Melbourne they fell by 0.9% month on month, by 2.4% quarter on quarter and by 3.4% year on year to $697,457 while in Sydney they fell by 0.6%, 1.5% and 6.1% to $847,948. ‘While the housing market downturn is well entrenched across Darwin and Perth where dwelling values remain 22.1% and 13.2% lower relative to their 2014 peak, Sydney and Melbourne are now the primary drag on the national housing market performance,’ said CoreLogic head of research Tim Lawless . ‘We’ve seen Sydney values drop 6.1% over the past twelve months and Melbourne values are 3.4% lower. Not only are these amongst the largest annual falls across the capital cities, but considering Sydney and Melbourne comprise approximately 60% of the national value of housing, the weak conditions in these cities have a substantial drag down effect on the overall national housing market performance,’ he explained. ‘Although values are still rising on an annual basis in Brisbane, Adelaide, Hobart and Canberra, the rate of capital gain has slowed noticeably in these regions. One year ago, the annual gain in Brisbane was tracking at 2.9% and has since slowed to just 0.8% over the past 12 months,’ he pointed out. He also pointed out that Adelaide values were rising at the annual rate of 5% a year ago, slowing to 0.7%, while the annual growth rate has slowed from 14.3% in Hobart to 9.3% and Canberra has seen annual gains slide from 7.8% to 2%. And he added that regional markets, where housing values have generally been more resilient to falls than in the capital cities, are now showing more challenging conditions. Despite regional Western Australia being the only region to record a decline in values over the past year, the September quarter saw values dropping by 1.3% in regional New South Wales, by 0.2% in regional Victoria, by 0.3% in regional South Australia, by 0.6% in regional Queensland and by 3.4% in regional Western Australia.